Marilyn Vine believes that people are starting to question the authorities on vaccination and that they are doing more research before they are subjecting themselves, and their families, to being vaccinated. I also believe that more and more people are speaking out and providing good information. I urge you to register with your health authorities if by chance you, or your family, have been vaccinated and an adverse reaction occurs. I hope that this will not be the case, but if it is, then the more registrations of reactions that are made – then the truth will finally prevail. It is so important that this information reach the public arena and is not just buried in some bureaucrat’s file! I am sorry for the families that may be in a situation that they need to register with the health authorities, but I do implore them to make this effort as the more registrations that are made, and more importantly made public, then perhaps the authorities will start and reconsider what they are doing in terms of vaccination. Not only that but the more people become aware that there are in fact issues with the vaccines being found not to work, particularly with the flu vaccines then the public that people will take the time to research and more informed decisions will be made. WHY IS IT BEING ALLOWED? Old information but still valid today including a book published in 1889! Robin Goffe on FaceBook 20 May 2017 “I am just going to put my sweet little find here for you: It is a book written in 1889 called "45 years of Registration Statistics, Proving Vaccination to be both useless and dangerous". 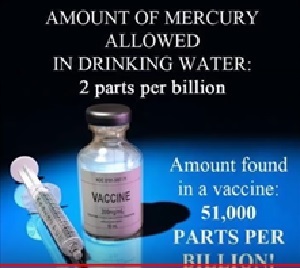 It covers 45 years (so starting in the year 1844) the statistics of vaccine FAILURES including an INCREASE in death from other diseases once the blood has been poisoned by vaccination. They cover the health of the vaccinated VERSES the UNvaccinated.....bad news for the vaccinated...they were dying more from other diseases such as measles, mumps, smallpox and diphtheria because of a weakened countenance from vaccines. This was covered 128 years ago. Oh and all you "The science is settled on Vaccines" People... Nope. It never has been settled. They knew it was hurting mankind. Click here to read the book published in 1889. This book clearly demonstrates to me that nothing has changed since this time and that only harm comes from the practices that are forced on us today. Activist Posted dated 14 April 2016 published this article “All vaccine research eventually leads to Bill Gates and Nazi eugenics… vaccines used as vector for depopulation experiments”. This is just a small excerpt from this document. On this website is the YouTube where Bill stated 10 or 15% reduction. The Gates Foundation’s interest in reducing the world population isn’t limited to vaccines either. The organization has a history of funding depopulation efforts, including research into deliberately destroying sperm with ultrasound technology. Click this link to read what happened to Judy. When my 3 children were little and someone in the street contracted chicken pox or the like we actually mingled with them because if my children became infected then it was mild and I was giving my children a natural immunity just like this Mom says. I have information on Judy on other immunization pages and also further down in this page. This is a short video explaining about retrovirus and her research, what she found and what happened with her. Gao Junfang, known as China’s “Vaccine Queen,” once one of that country’s wealthiest citizens, was recently arrested along with 17 other high-level officials of the vaccine manufacturing company Changsheng Biotechnology. The company produced not one, but two batches of substandard vaccines and then circulated them to close to half a million Chinese children. According to the South China Morning Post, hundreds of thousands of Changsheng’s combination diphtheria, polio and typhoid (DPT) vaccines were found to be ineffective, while the test records for its rabies vaccine were confirmed to have been fabricated. The once booming company is now facing financial ruin. The Chinese government has admitted that hundreds of thousands more doses of children’s vaccines are faulty, bringing the total number of vaccines known to be defective there to nearly one million. The State Council of China announced that another batch of vaccines for diphtheria, pertussis and tetanus (DPT) that were produced by the firm Changchun Changsheng Biotechnology, were considered “substandard.” Most of the doses were sold to authorities in the Shandong province in northeastern China, and some have already been given to children. GOVERNMENTS AROUND THE WORLD KEEP TELLING US THAT IT IS SAME TO IMMUNIZE OUR CHILDREN. WHEN YOU READ ARTICLES LIKE THIS IT MAKES ME QUESTION WHETHER WE CAN TRUST ANY GOVERNMENT TO ENSURE THAT THE VACCINES BEING PRODUCED ARE IN FACT SAFE FOR OUR CHILDREN. WOULD THE GOVERNMENTS NOT BE BETTER OFF ENCOURAGING PARENTS TO ENSURE THAT THEIR CHILDREN ARE EATING NUTRITIONALLY HEALTHY, AVOIDING JUNK FOODS AND BUILDING UP THEIR IMMUNE SYSTEMS NATURALLY? Vaccines distort your cell-mediated immunity and humoral immunity responses (which can radically increase your risk of cancer), by preventing the activation of your cell-mediated immune response”. WHEN WILL AUSTRALIA AND OTHER COUNTRIES COME TO THEIR SENSES? Take a few minutes to listen to what he has to say and learn about the true statistics of immunization. Vaccines - Kenyan Bishops Discover Mass Sterilization in Bill Gates Vaccines. I believe it could have been Ghana back in the late 1990’s that this type of action was also found. Women able to get pregnant and then miscarrying! NewsTarget published Mike Adam’s article dated 8 June 2018 “The criminalization of science whistleblowers: A mind-blowing interview with Judy Mikovits, PhD”. Here is an excerpt from the article and it is suggested that you read the full article and watch the YouTube. “In one of the most shocking science videos you’ll see this year, molecular biologist Judy A. Mikovits, PhD, reveals the disturbing true story of how she was thrown in prison for blowing the whistle on deadly viral contamination of human vaccines. Medical Malpractice and Court finds parent’s guilty! WHAT UNFOLDS IN THIS ARTICLE IS ABSOLUTELY INCREDIBLE THAT MEDICAL AUTHORITIES CAN MANIPULATE THE SYSTEM AND PUT ALREADY GRIEVING PARENTS THROUGH THE ORDEAL THEY HAVE ENDURED. Health Impact News dated 18 May 2018 issued this article “Canada Supreme Court Orders New Trial for Non-vaccinating Parents Accused of Son's Death - New Evidence Points to Cover-up of Medical Malpractice”. Please read this article and learn the dreadful ordeal this little boy suffered at the hands of the medical profession. “Recent research led by the well-known epidemiologist, Dr. Anthony Mawson, has led to many shocking revelations about the risks associated with vaccination. One of the most concerning findings of this study, as Robert F. Kennedy Jr. notes, is that vaccinated children are substantially more likely to develop a learning disability. I (Marilyn Vine) find these statistics are horrifying. Click this link to access the NaturalNews article and see all the studies for yourself. Don’t forget to read about the thimoseral/mercury challenge below. Please click this link to read this article and make sure you check out the information under the Challenge to Journalists. 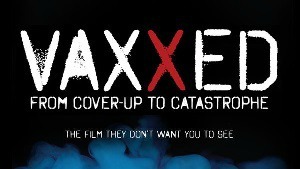 NaturalNews dated 14 April 2016 provides an insight into what has happened to the VAXXED Documentary and the pressure that has been exerted on Robert De Niro to suppress the viewing of this film. Below is an interview with Robert De Niro. Once you have listened to the YouTubes then click this link to read the NaturalNews article. Robert encourages us to watch another film called Trace Amounts which documents the toxic effects of mercury on children. "The [FDA] said recommendations for using the vaccine have not changed, nor has there been any change in flu vaccine guidance ... FDA officials said they've been paying special attention to seizure reports because of an unexplained higher rate of fevers and seizures in young children in Australia and New Zealand who got a specific flu vaccine earlier this year." All new information will be posted under this bookmark. Bookmark this page to read new information as it comes to hand. Words cannot express how I feel for this mother for the anguish that she has had to suffer as a consequence of having her son vaccinated at the age of 13 months. No cash payout amount would ever compensate for this but at least it may be able to make their lives a little less difficult. News from researchers dated 11 January 2011 that the number of vaccines people are being given has increased and so has the incidence of the formerly almost non-existent aluminium allergy. Both vaccinated and unvaccinated people getting measles from vaccinated people! Atypical disease – what is this? Scientists describe it as a disease caused by vaccine! An article covering measles vaccine. I found this comment rather an interesting one. I have been reading for some time that giving children the whooping cough vaccine has caused whooping cough to actually become a new mutated whooping cough disease. My understanding is, and remember that I am not a medical or health related person, just a person who does a lot of reading with regard to this and other issues, that the whooping cough vaccine does not in fact protect children from getting this new mutated form! So what is the point of vaccinating children for whooping cough knowing that it is not effective and knowing that there could be side effects experienced by these children! THEN WHY THE BIG PUSH TO HAVE OUR KIDS IMMUNIZED WITH THE MMR VACCINE? 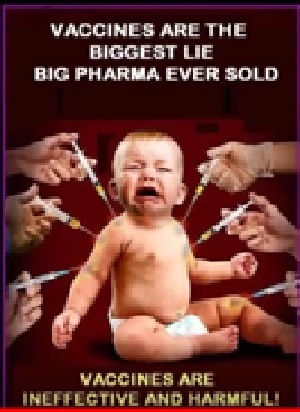 Has the great money grab by pharmaceutical companies over-ridden our concern for the safety of our children given all the speculation that this particular vaccine is at the base of the number of children suffering some form of autism spectrum including behavioural problems? We are told by our health officials that vaccines are designed to over-ride our natural immune system response. Why would anyone compromise their own or their children’s immune systems? This is nature’s ways of protecting us! If we are eating nutritionally based foods and not junk foods, limiting our sugar intake and dairy intake, taking supplementation to ensure that we receive our correct vitamin and mineral daily requirements, drink good quality water without all the additives like chlorine and fluoride – then our immune systems will function and even if we get infected with some virus or other – our infection rate should be minimal and may not even occur at all. Do your own research on Vitamin D3 and see how this can protect you from a great many diseases and then ask WHY ISN’T YOUR GOVERNMENT OR HEALTH DEPARTMENT PUSHING THIS INFORMATION OUT TO THE COMMUNITIES? Once again – do you think money could be involved? I am sorry if I sound a bit cynical but my belief is that the more vaccination information I can get to people and the more they do their own independent research (not using their government generated information) then the more people who will know that a gigantic fraud is being perpetrated by a few people. Most doctors do not do their own independent research and they can be as “duped” as the public! I am absolutely thrilled to bring you the following two links! Mike Adams, the Health Ranger of NaturalNews, on 26 January 2011 released an article advising that documents emerge proving Dr Andrew Wakefield innocent! What fantastic news for Dr Andrew Wakefield and I am not sure that “comfort” would be the correct word to use for all those parents who suspected but could not confirm that the information they had been given on the MMR vaccine that their children received caused their autism and behavioural problems. Will the British Government censure and reprimand and bring into line the British Medical Journal and their reporter Brian Deer for all the harm that they have caused to countless children who continued to have the MMR vaccine? When I read this article on 26 January 2011 I said to my husband and of course we will hear all about this on our news tomorrow! Well it is now the morning of 29 January and not a whisper! Dr Andrew Wakefield demands a retraction from the British Medical Journal. This link is with regard to the accuracy of research and the validity behind what we are being told and this just reinforces the comments that I have made above in keeping these “medical bodies” honest. He wants every child born in the planet to be placed into a vaccination register! Vaccination page brings you Bill Gates latest proposal where he is promoting a plan to use wireless technology to register every newborn on the planet in a vaccine database. When you read the article once again Nigeria and India are the two countries mentioned. Throughout this website on the various vaccination pages contained herein Nigeria is mentioned again and again. At one stage the Nigerian government was suing for the harm caused to its children! In all honesty I just felt sick to the stomach when I read this article. I know how I feel about vaccination for myself and for my children and I wonder what I would do under these circumstances. I can see many women deciding to go “underground” with their pregnancies and this could mean them not seeking medical advice, having hospital births or even using governmental midwives. It could even mean that they would risk prosecution if they did not register the birth of their babies! If this plan comes to fruition then once a woman comes into any of the government systems mentioned above then she will be tracked and her baby’s birth recorded. 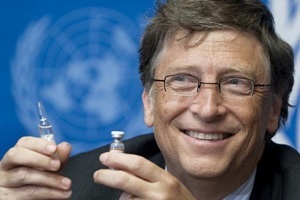 Bill Gates is saying that this system could be used to locate those parents who avoid having their children vaccinated! Would please pass this Vaccination Information to your young friends who may be considering starting a family so that they are aware that his sort of pressure may be exerted on them. Vaccination page asks why are we experiencing a whooping cough epidemic? Perhaps the document provided by Dr Mercola will explain that to you. "... [S]cientists ... discovered the pertussis bacteria had mutated almost two decades ago ... [T]he new generation of vaccines, which came out around the same time, was not tested on the mutation ... [T]he new strain can overpower the vaccine." 0n 28 May 2010 Mike Adams from NaturalNews brings more information on The Bill and Melinda Gates Foundation. Bill Gates has gained a reputation for funding technologies designed for mass sterilization. One of these methods is using sharp blasts of ultrasound directed at a man’s crutch which renders him infertile for the next six months. Is this why the Americans have installed their x-raying at their airports to help render the American male infertile? I believe this next technology “sweat triggered vaccine delivery” to be even more frightening. Manufacturers could now include vaccines into their personal care products and when you sweat bingo you are vaccinated!!!! Read the article to see some of the methods that could be used to vaccinate you without you knowing! This is more reason why you should know and trust the company manufacturing your products. I use a company who has a “no potentially harmful ingredients” in its products. Click this link to learn more. Here is another article where Bill Gates addressed the Long Beach, California, TED2010 Conference in a speech called “Innovating to Zero”. He covers vaccination, genetically modified foods (GM), eugenics, CO2 emissions and a good way to reduce these emissions is controlling the population level. Don’t get me wrong! Bill Gates is not the only one involved in the above. A great deal of it comes from Agenda 21 and New World Order (NWO) which is slowly being implemented around the world. Others who are also implicated are the World Health Organisation (WHO), Rockefeller Foundation, Monsanto, DuPont, Dow, and Syngenta and there are probably others that I am not aware of. If you go to this link and scroll down the page a little you will find a YouTube of Bill Gates blithely telling the world that vaccines will reduce the world population by 10-15 percent! Barbara Loe Fisher in her December 2010 Newsletter gives thanks for the people who have blessed her life and she remembers the mothers and fathers of severely vaccine injured children. Vaccination information page is appalled to bring you the following story and I have heartfelt concerns for the young babes concerned and the dreadful effect it will have on their young lives and the lives of their families. “The government is trying to convince parents to go along with its recommendations by suggesting that the one-day vaccine schedule helps to "simplify" the number of doctor visits by reducing it to just one rather than six. And their official statement alleges that "independent scientific research has shown that [getting all the shots at once] is completely safe and effective," even though no specifics were provided to back such claims. Vaccination Information page brings you details of the new quadruple flu vaccine for seniors. What is going to happen to senior citizens when they get vaccinated? On 24 July 2010 Dr Mercola published an article advising of the risks of combining the above immunizations. The article goes on to say that adverse reactions can occur up to a week to ten days after being immunized. The situation can be quite frightening but are generally not fatal. "[Researchers] compared seizure and fever reactions among 83,107 1-year-olds who had combined MMR and chickenpox vaccinations with reactions of 376,354 toddlers who received separate vaccines." Resurgence of whooping cough is due to the vaccine causing an increased and more virulent toxin! This means that all the government agencies that are right behind vaccination have it wrong! So Center for Disease Control (CDC) is now saying that the pathogens of the whooping cough have now evolved into a much more virulent strain! Now we have five infants dead in California and California declaring a whooping cough epidemic! Read the article written by Barbara Loe Fisher published in a Dr Mercola newsletter dated 15 July 2010. “An advisory panel to the U.S. Centers for Disease Control and Prevention (CDC) has recommended that every person be vaccinated for the seasonal flu yearly, except in a few cases where the vaccine is known to be unsafe. Please read the article and may I suggest that as many people as possible write to their local representative objecting to this. People’s Democratic Rights are being Totally Over-Ridden! I am very sorry for the American people if this “forced vaccination” occurs but I am also very concerned with what will happen in Australia! Unfortunately, Australia follows America on so many fronts and I feel that this will be just another of those times. I knew of this particular incidence but did not realize that the World Health Organization had done this in 130 countries! Here we are 8 years down the track and I believe that at long last vaccination information truth is beginning to filter out to the world. Many people are running websites similar to Vaccination and helping to spread this information as it comes to hand. More disturbing vaccination information! The risk of autism in boys is tripled by them receiving the Hepatitis B vaccination. I believe the number of autism cases in the US per year has risen from 1 in 150 to 1 in 63 and this is not the current figure! I wonder what this figure will reach when the effects of targeting pregnant women and young children with the Swine Flu Vaccine is realized. Now we have Nigeria with outbreaks of Polio. Read what Dr Mercola has to say about this! I have a very close friend whose daughter was doing a degree in a form of medicine. This person was six months from completing many years of study. She was told by authorities that unless she consented to being vaccinated that she would not be allowed to complete her degree! As a result 8 vaccines were administered one after the other. The end result she spent the next 24 hours vomiting and was very ill. Even if health authorities feel that it is necessary for the their workers to be vaccinated to protect either them or the general public then surely some sort of commonsense should have prevailed in this situation and the vaccine shots administered over a period of weeks to allow her body and her immune system to recover from each vaccine before the next one was administered! I am only a lay person with limited knowledge from the reading and research I do BUT this makes more sense to her than what was undertaken! My understanding is that when a person is vaccinated their immune system is compromised. Wouldn’t it make more sense to ensure that health workers are doing the following to make sure that their immune systems are up and running rather than compromising it? Making sure that good hygiene practices are followed. Eating nutritionally – preferably organic. Being careful in their selection of personal care products to ensure that they are not compromising their health with toxic ingredients (which will bring down the immune system). Because of the lack of vitamins and minerals in our everyday foods, using good quality supplements. If everyone was doing this then you would not have so many sick people! Staying away from fast foods and pre-packaged foods. Families need to find more time to be able to do their own meals rather than rely on the “easy way out” which in the long term brings down their family’s health. Stop eating French fries in fast food outlets – see the Swine Flu page and article on genetically modified potatoes and their link to H1N1! I am sure that there are many more things we could all do to ensure optimal running of our bodies without resorting to vaccination.